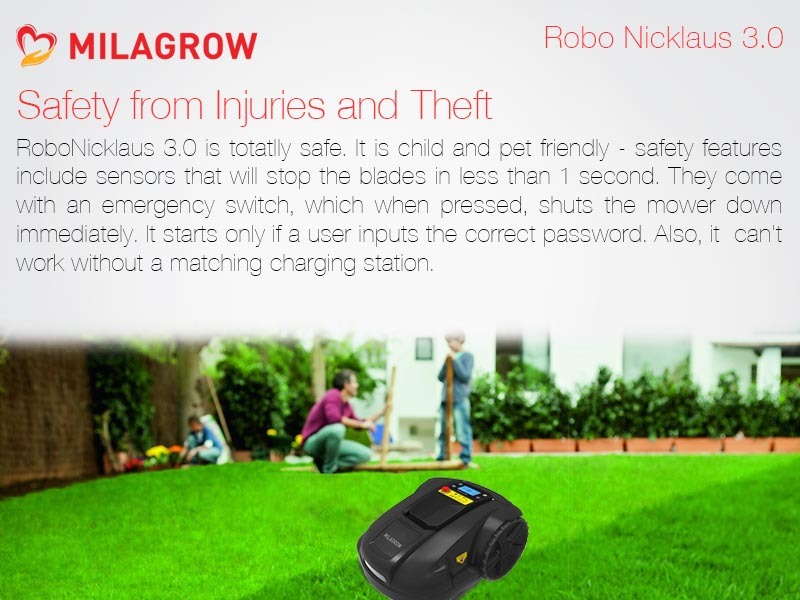 By buying this product you can collect up to 13999 loyalty points. 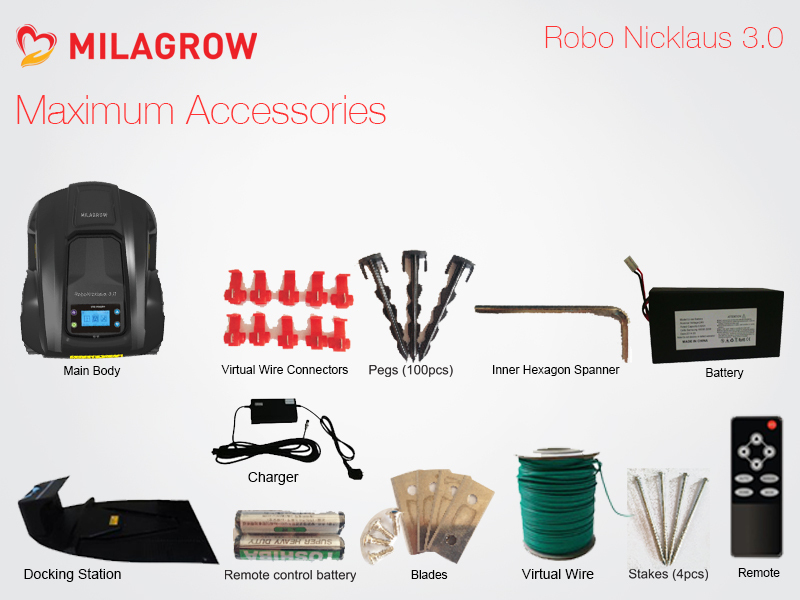 Your cart will total 13999 points that can be converted into a voucher of Rs 2,799.80. 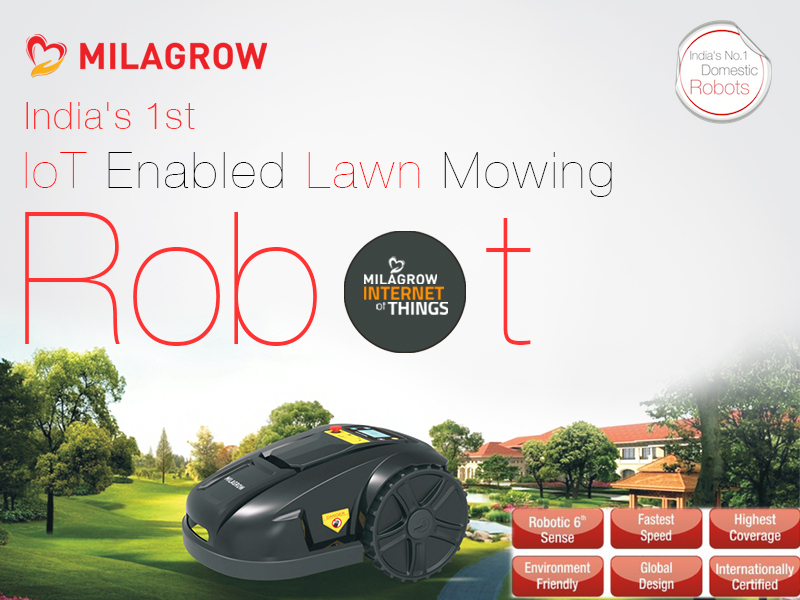 India's First Lawn Mowing Robots, Robotic 6th Sense, Working Capacity 28000 sq ft in 24 hours, 8600 sq ft on single charge of 3 hours, Robotic Pressure Sensor, Robotic Bumper sensor, Robotic Touch sensor, Robotic Rain Sensor, Robotic Lift sensor, Robotic Tilt sensor. 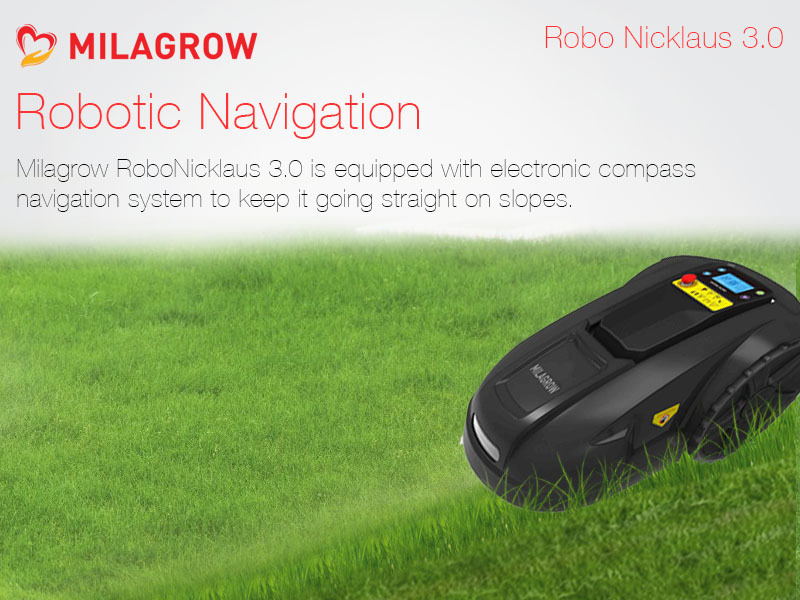 Robotic Electronic Compass, Robotic Overload Protect, Robotic Subarea setting, Robotic Scheduling, Robotic Mowing Pattern. 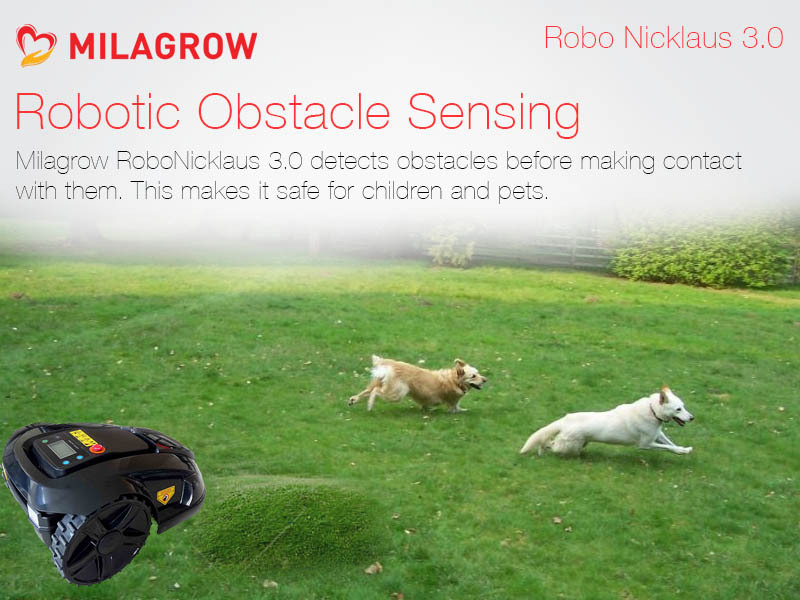 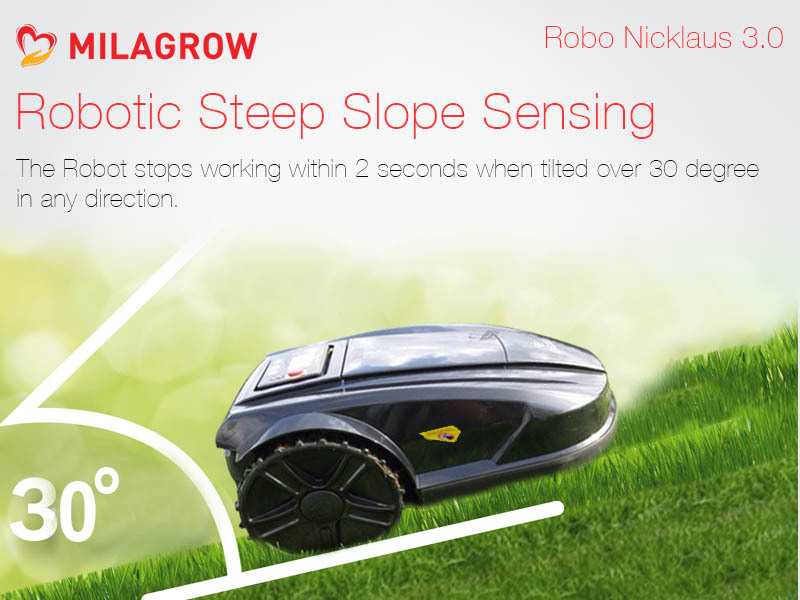 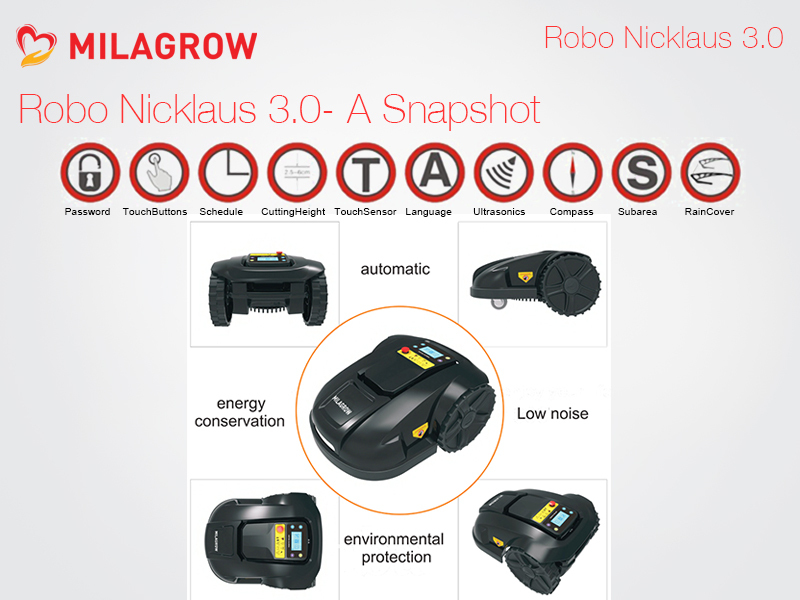 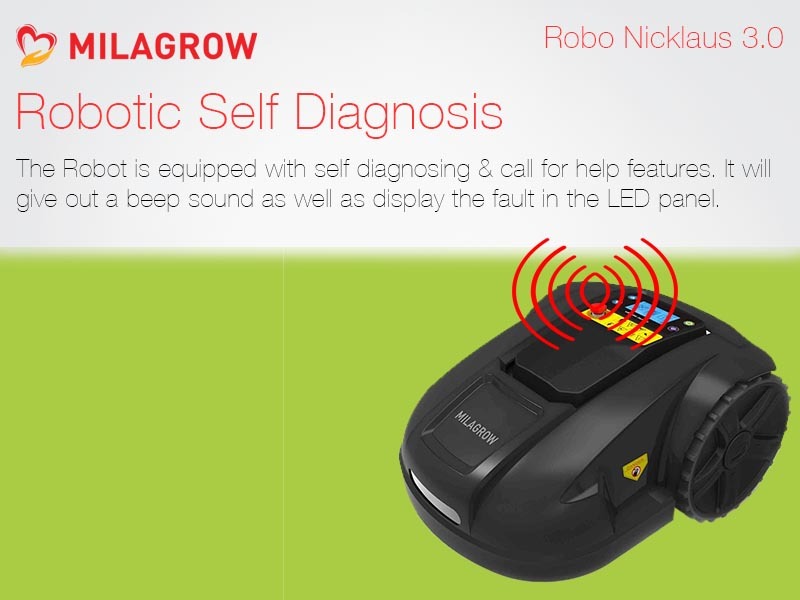 Milagrow RoboNicklaus 1.0 and 2.0 are equipped with this feature. 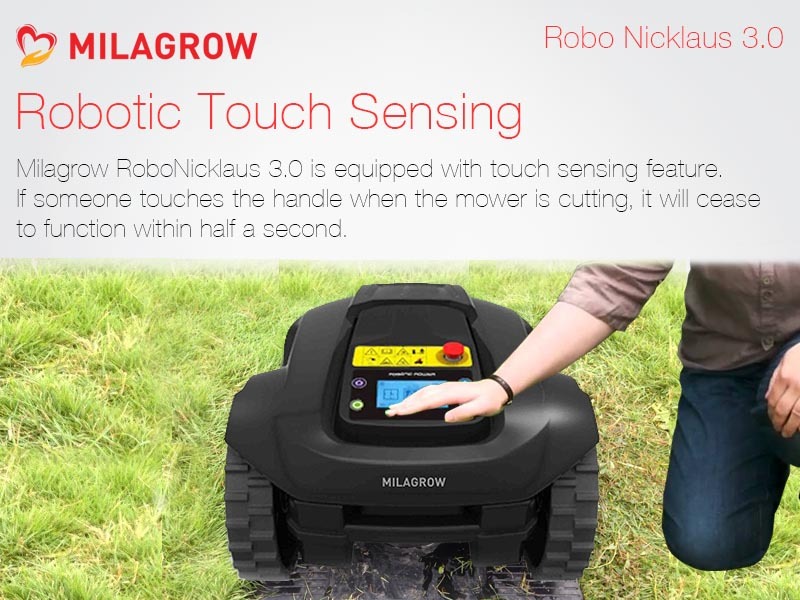 The pressure sensors are located on the top cover. 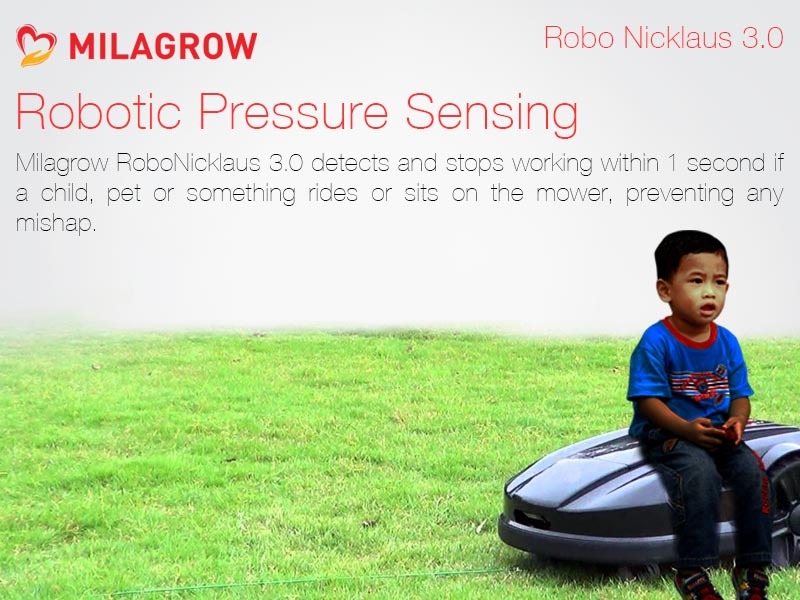 If a child, pet or something rides or sits on the mower, it stops working within 1 second. 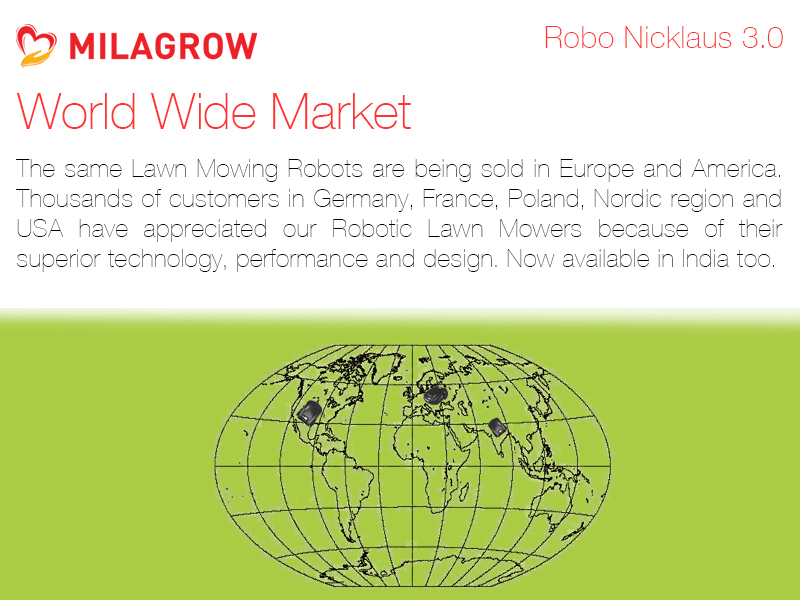 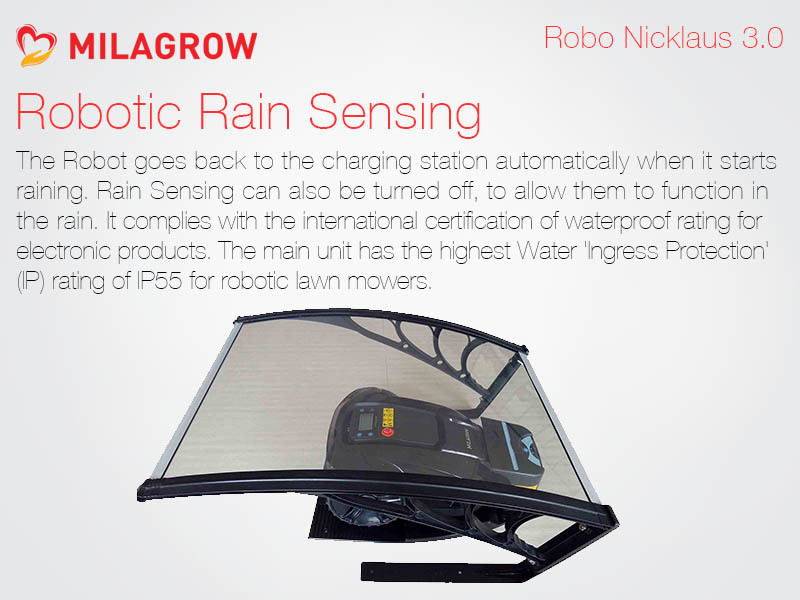 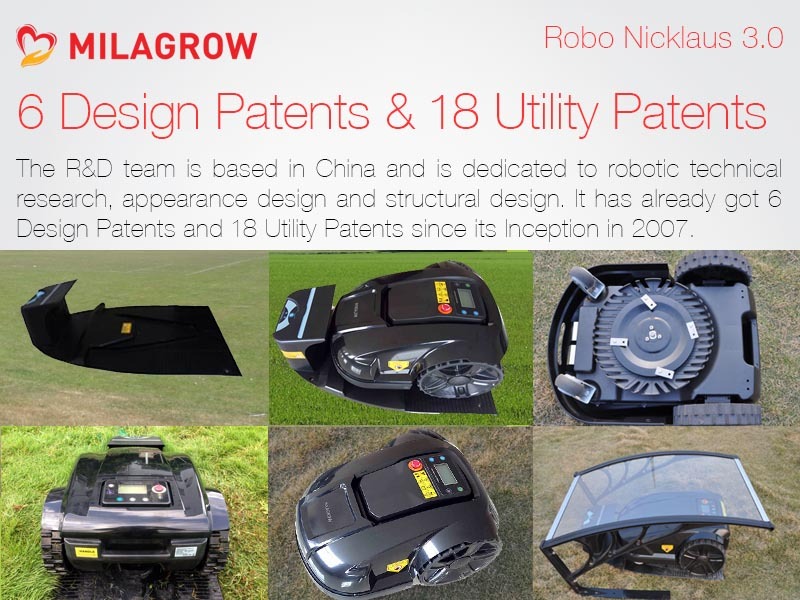 Milagrow Lawn Robot RoboNicklaus and RoboTiger 2.0 are equipped with this feature. 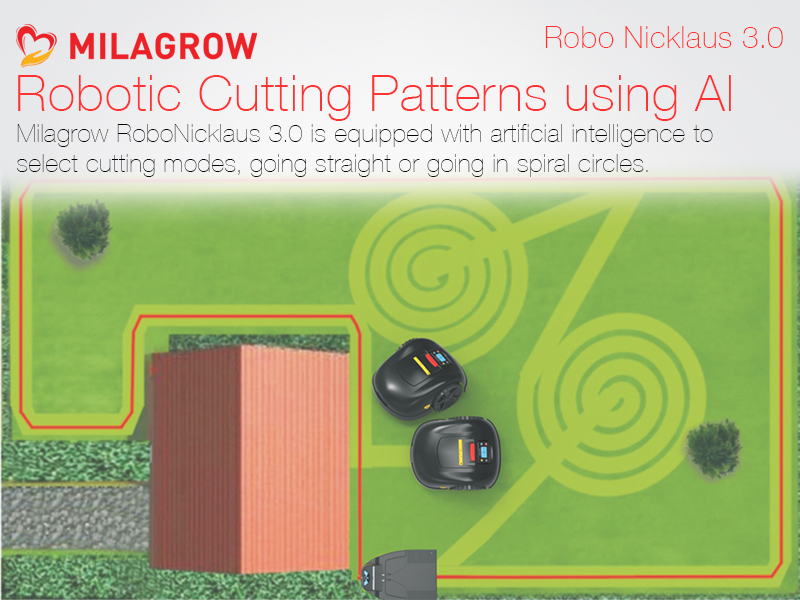 You can select upto 3 Subareas for the mower to cut. 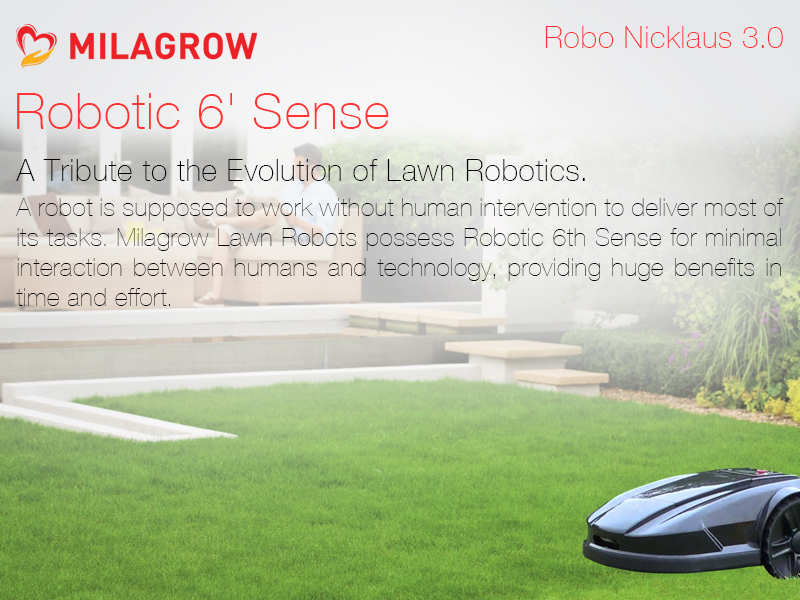 This works well for large lawns. 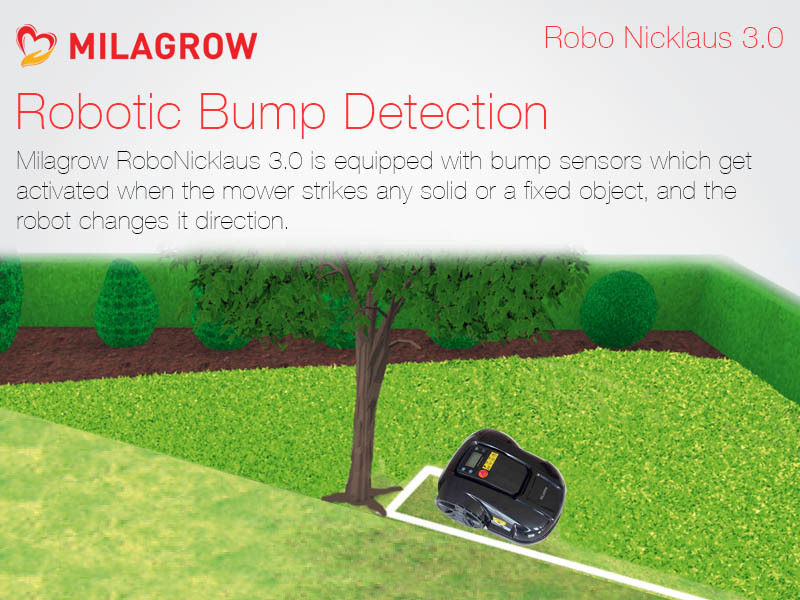 This function should be used together with auto scheduling. 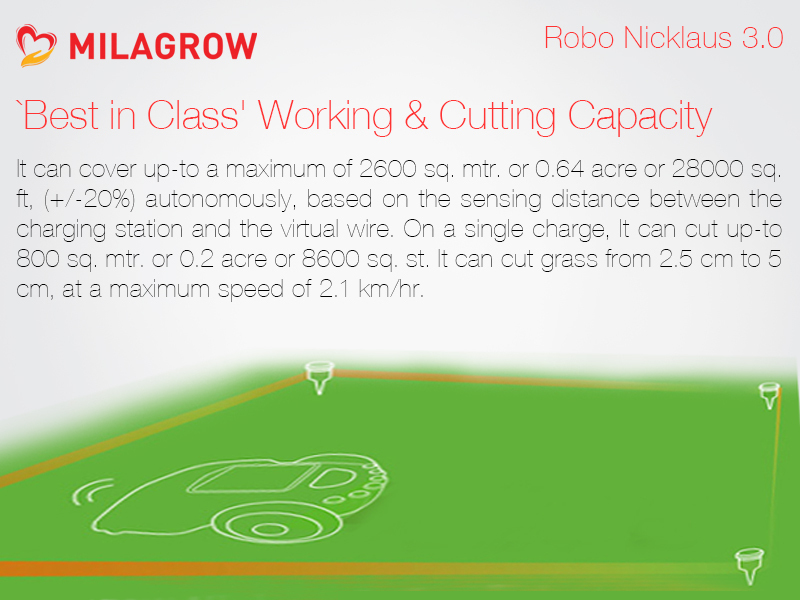 You can schedule upto 3 subareas on the same day, day after day and week after week. 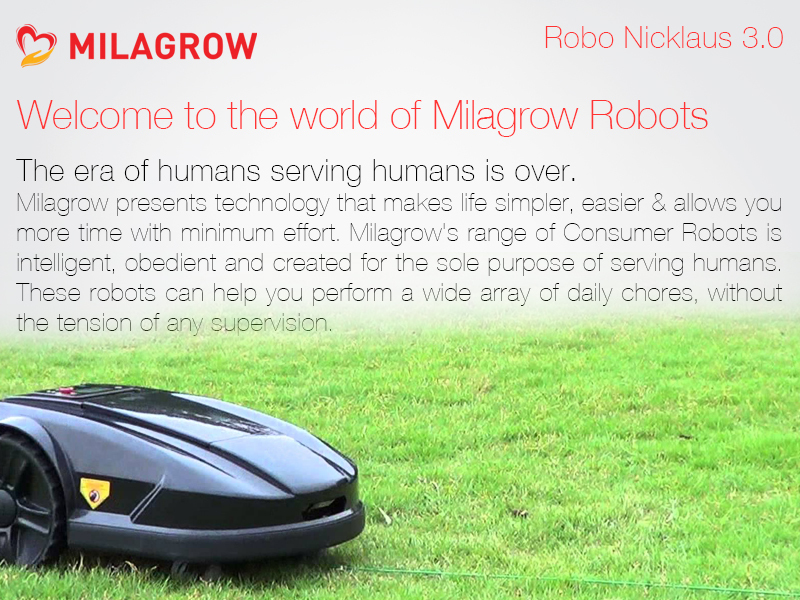 Milagrow Lawn Robot RoboNicklaus and RoboTiger 2.0 are equipped with this feature. 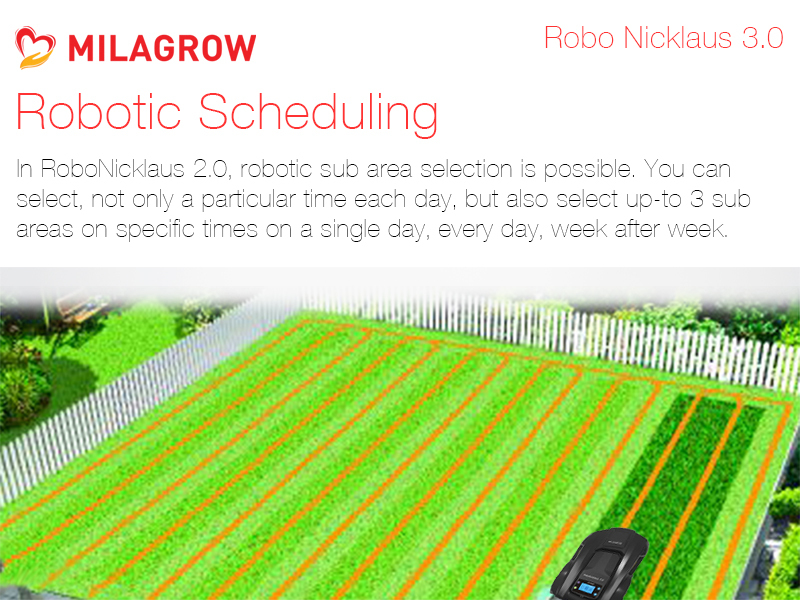 You can select not only a particular time each day but also select a upto 3 sub areas on specific times on a single day. 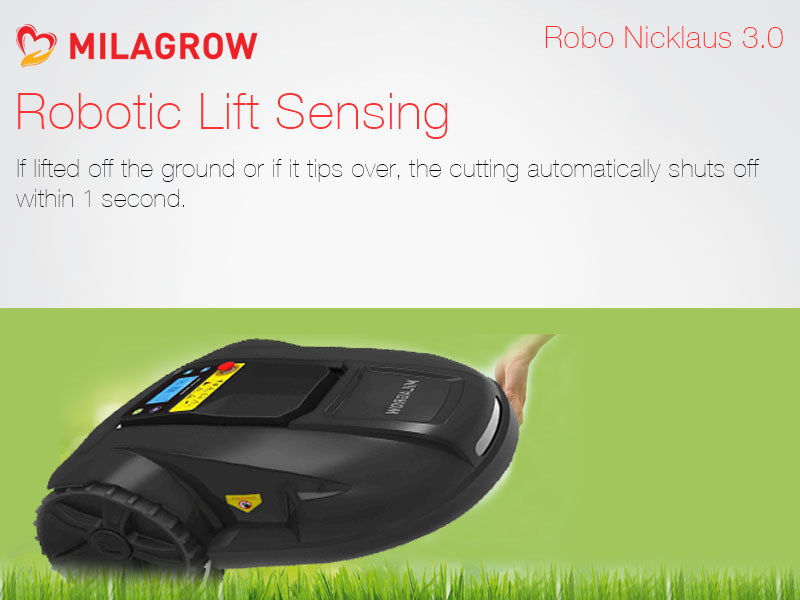 Set up one week (From Monday to Sunday, once for each day) cutting schedule from control panel. 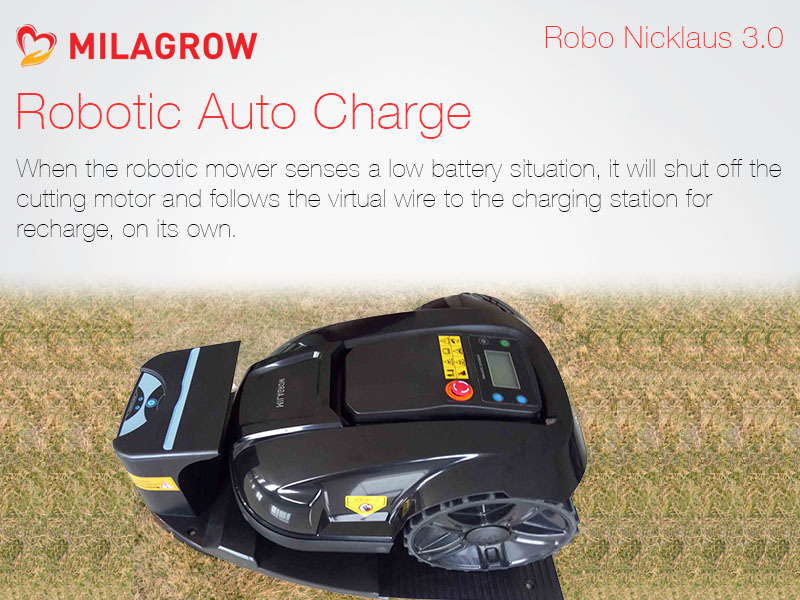 Working Capacity 28000 sq ft in 24 hours, 8600 sq ft on single charge of 3 hours. 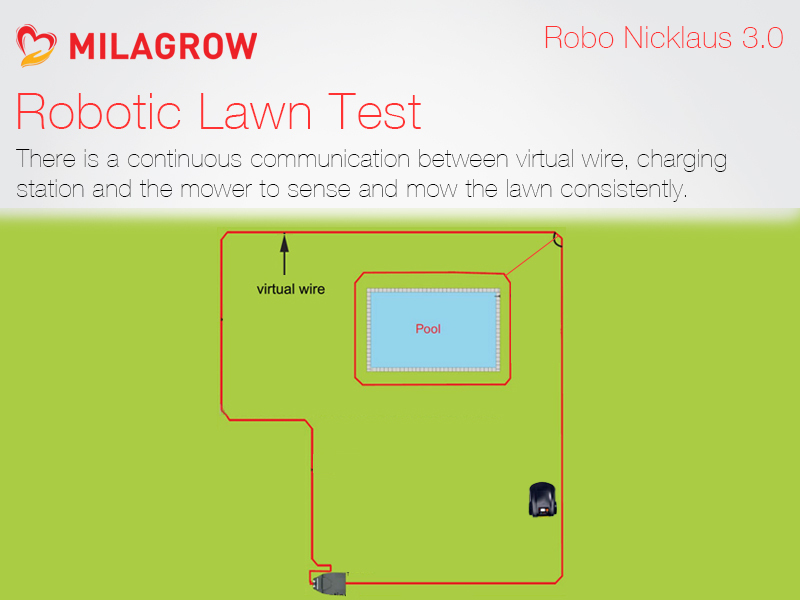 Robotic 'Artificial Intelligence' Lawn Test. 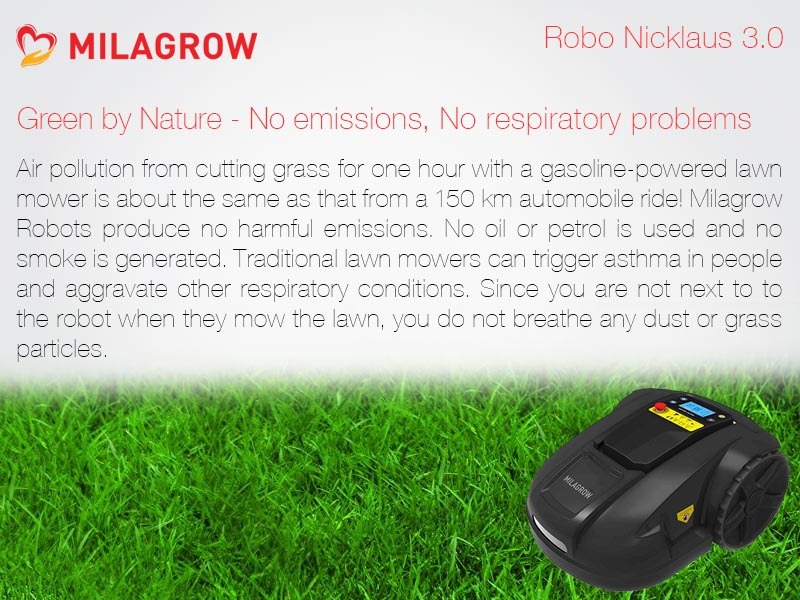 4 cutting blades, 2-5 to 6 cm adjustable cutting height. 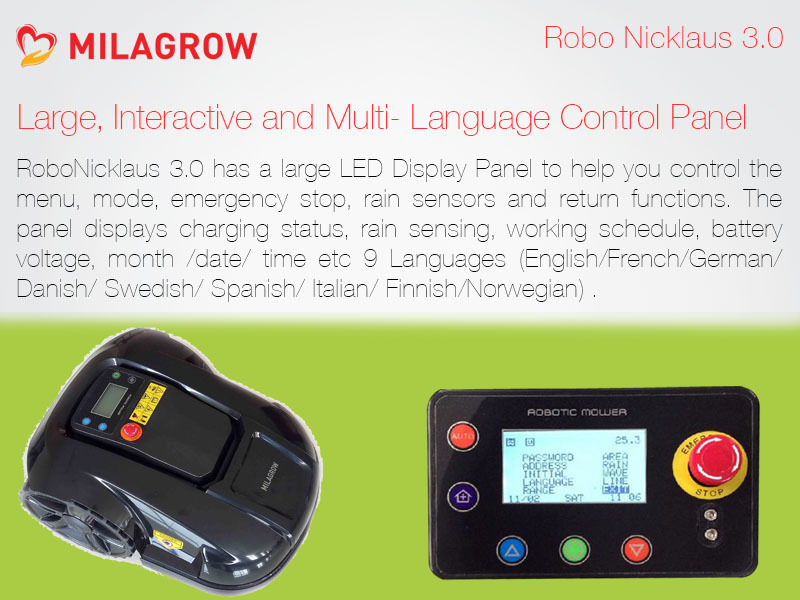 Multi Langauge LED Control Panel and Display.